In Formula One, the very first person you have to beat is your team-mate. So who did just that in Monaco? Let’s go through the teams and hand out the TMB points! Only able to vie with Manor in Thursday practice, Sauber’s spiral to the back of the grid continued in Monaco. In their pre-BMW days, Sauber were renowned for designing great chassises; courtesy of the likes of Sergio Rinland and Willy Rampf. Usually strong at the opening races, Sauber’s lack of development budget would doom them to a season of mediocrity and worse. Felipe Nasr hinted on Thursday that the next couple of races might not be particularly competitive for him or Marcus Ericsson; at least until Sauber can roll out some upgrades. The two Saubers were eliminated in Q1, with Nasr 0.4 seconds quicker than Ericsson. Continuing to struggle to find any sort of pace, things weren’t looking bright for a points finish on Sunday; but some misfortunes for others allowed Nasr to sneak a 10th place ahead of the beleaguered Hulkenberg and Grosjean. Ericsson was lucky to avoid being taken out by Carlos Sainz at the chicane when the Spaniard lost control on the bumps, and comfortably saw off Valtteri Bottas to take 13th. 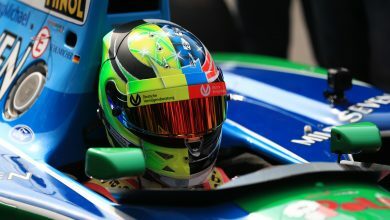 Points will be scarce for Sauber for the foreseeable. “In the context of this year, this is a good result” said John Booth after his drivers trailed home as the bottom two finishers. Far from the jubilation of last year’s result, Manor’s weekend was dominated by thoughts of Jules Bianchi; the team opting to pay tribute by wearing P8 red wristbands for the event. Speaking to Roberto Merhi on Thursday and Saturday, the Spanish driver says he is working hard to lose the excess weight that he says puts him at an inherent disadvantage against the diminutive Stevens. A slightly heavier overall weight would explain the 0.3 seconds deficit in qualifying, with Stevens getting the upper hand again. In the race, both employed a single stop strategy to come home 15th and 16th; with Merhi coming out on top. Stevens’ race was compromised by picking up some minor front wing damage on the first lap, leading to hurting his tyres and losing out to Roberto. Four races in a row with both cars finishing means that the team have gathered a lot of data and a lot of useful mileage ahead of the introduction of their “proper” 2015 car. Remaining as the slowest team for the entire season isn’t guaranteed, particularly when they can start using the much improved 2015 Ferrari power units. Similar to Williams’ design philosophy of creating a slippery car, Lotus’ E23 wasn’t particularly strong in Monaco. Grosjean’s weekend was put on the back foot immediately with the news he would take a grid penalty for a gearbox change, and being 0.3 seconds slower than Pastor Maldonado in Q2 meant the French driver started the race from 15th with Pastor in 8th. No problems for Pastor off the line as he held onto 8th place, but he was out by Lap 6 with a braking issue. This had allowed Max Verstappen through, but Pastor resisted as long as he could and made life difficult for the Dutch driver – even if it was ultimately futile. Romain Grosjean climbed his way up to challenge for low points positions, but had any chance of that taken away when he was smacked by Max Verstappen. While the E23 wasn’t particularly fast in Monaco, it certainly was strong; watching onboard with Max looked as though both cars would be out on the spot. Instead, Romain was able to limp his car home over the remaining 14 laps and take 12th place. Split points on this occasion. Both Toro Rosso men were excellent performers in Monaco; so much so that I strongly debated split points. Max Verstappen was a tour de force during Thursday’s FP1 session, but struggled during Saturday qualifying; he ended up a solid but disappointed 10th. Carlos Sainz may not have been quite as headline friendly on Thursday, but produced the better Q3 lap to take 8th place. Convinced after the session that he wouldn’t get a penalty for his weigh-bridge transgression, Sainz had to put up with taking the most severe qualifying penalty of the year by being forced to start in the pit lane. Verstappen was the man to make the race memorable, although not for the reasons he would have hoped for. Picking off a lame Maldonado was relatively easy meat for Max, before slowly chipping away at Sergio Perez’s advantage. Any chance of passing through the stop disappeared when he had a disastrous wheel change that resulted in a total time of 52 seconds in the pit lane, but an inspired tyre change while cooped up behind Bottas changed the complexion of the race. Catching Bottas again within ten laps, Verstappen cannily used Sebastian Vettel’s negotiation of the lapped Valtteri to pounce on the Finn; leaving the Williams man helpless to defend. Attempting the same move around the outside of Grosjean didn’t quite work, before Max made his first significant rookie error and crashed into the back of Romain. Lucky to escape unhurt with so little run off area, Max was found at fault by the FIA and hit with penalties and a grid drop. Sainz, by comparison, had an understated but great drive from the pitlane to 10th place. Unseen on the live feed, he also damaged his front wing in an incident at the chicane; narrowly avoiding slamming into the back of Marcus Ericsson after losing his car on the bumps under braking. Race points go to Sainz. Max was great, but ended his own race and almost took Grosjean with him. Despite being only a minor error of judgment, harsher words would have been said about other drivers had they made the same error. Carlos raced from the pit lane to the points and, for that, deserves the recognition. Sergio Perez is hammering in the nails that are spelling the end of Nico Hulkenberg’s F1 career. While Monaco may be the scene of his largest accident in F1, Perez was on fire on the streets this weekend. An exceptionally strong qualifying in a VJM08 that had no changes from last time out saw him take 7th place, far higher than he had any right to be. He hailed the lap as “one of the best of his career”, and then proceeded to knock the ball out of the park in the race. Maintaining 7th, he wasn’t able to challenge the guys in front but didn’t get flustered by closing cars. While he may have lost position to Verstappen had Max not had his pitstop issue, Force India had no issues at their stop. He even managed to get a little feisty with Kimi Raikkonen towards the end of the race after the safety car. Hulkenberg’s dismal run continued. Unfortunate to be collected by a slightly wayward Alonso on the opening lap, he struggled to get clear of his own debris for a few seconds. Doomed to a race of plodding around at the back, he worked his way up to 11th and just outside the points. He needs a big result and sharpish. Watching the first half of the race in the McLaren motorhome meant having to join in with the groans of disappointment when Fernando Alonso’s car gave up for the second race in a row. Fernando put in a good performance all weekend, and opted for a slightly more creative tyre strategy that at any other circuit may have played out as advantageous towards the end of the race. Fernando was good, but compromised, in Monaco. Jenson was great in Monte Carlo. The 2009 winner was faster in Q1 where any meaningful qualifying comparison ends due to Alonso’s car failure. In the race, he was ahead of the Spaniard when Alonso’s MP4/30 died – unsurprising considering Jenson started three positions in front. Fernando made an uncharacteristic error of judgement in a racing situation when he collided with Hulkenberg on the first lap, perhaps a sign of the frustration that is lingering under the surface of an outwardly stoic man. Jenson raced cleanly home to an 8th place, scoring McLaren’s first points of the year and showing that he continues to be able to match those regarded as the best of the field. Kimi Raikkonen’s continuing discomfort in qualifying was always going to compromise him on the streets of Monte Carlo. 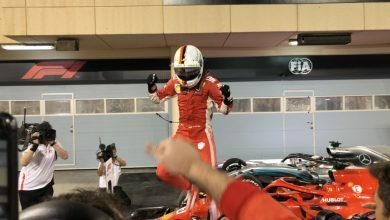 While Vettel was able to draw some anticipatory gasps on Saturday morning’s FP3 session, he couldn’t quite keep the battle going with the Mercs through qualifying and the race. 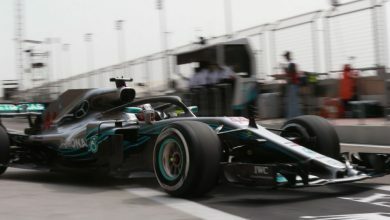 While he inherited second place thanks to the race-defining strategy blunder in front, he still had to keep his wits about him to hold a fired up Hamilton at bay for the final seven laps despite their tyre disparity. A strong weekend from Sebastian, who appears to be the more consistent thorn in Mercedes’s side. 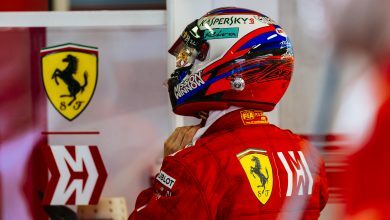 Kimi Raikkonen had a nondescript race battling the Red Bulls for 4th and 5th spot, with his highlight being the undercut lap that allowed him to nip in front of Daniel Ricciardo. He had every right to feel hard done by when Daniel didn’t get a penalty for bumping him out of the way, considering Alonso did for a move that was less cheeky. Speaking on Saturday afternoon, a glum Felipe Massa wasn’t optimistic about any sort of result in Monaco; even saying that a wet race would make things even worse for a team that struggle with low speed grip and traction. Both Massa & Bottas couldn’t get the tyres up to their ideal temperatures, and they were consigned to the lower half of the grid in qualifying. As downbeat as Massa was then, things didn’t improve at the race start when he picked up some damage in a glancing contact with Nico Hulkenberg. Emerging at the back, he was doomed to a race of staring at the back of any cars he was faster than – of which there weren’t many. Valtteri embarked on a planned two stop race, which he says “never really came to them” – especially with a badly timed safety car. Williams lack of performance essentially allowed McLaren to sneak in and grab some points but, with upgrades due in Canada and a circuit they seem to enjoy, things are looking considerably brighter for the next race. What an excellent demonstration of sportsmanship from Daniil Kvyat & Daniel Ricciardo during Sunday’s race. Both men put in strong qualifying runs with Ricciardo getting the better of Daniil despite losing time to an engine setting error. An aggressive first corner from Daniil put the Russian in front though, and that was where he stayed until after the safety car withdrew. Daniel was jumped by Kimi Raikkonen’s effective undercut, but gained the place back through a cheeky move that really was deserving of a penalty. Considering that Alonso had been hit with a 5 second penalty for an overtake that had him further alongside his victim than Ricciardo was, Daniel’s move shouldn’t have been allowed to stand. But it was; and due to having stopped for fresh rubber under the safety car, Red Bull asked Kvyat to allow Ricciardo through and attack the squabbling Hamilton & Vettel. Cleverly, Kvyat could also have allowed Ricciardo to escape more than five seconds up the road if required – just in case the stewards did issue a penalty to the Australian. Ricciardo quickly caught and attacked Hamilton, but was unable to pass. 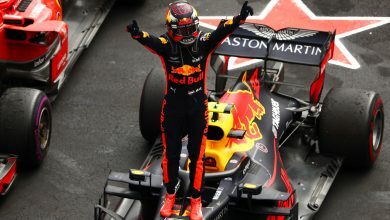 Under instruction to yield 4th back to Kvyat if he couldn’t find a way past, Daniel eased off and allowed his Russian team-mate back through to take his best ever result in F1 and a result that will keep the vultures from the door for now. After looking as though he might be able to get the better of Lewis in Monaco qualifying yet again after a strong Thursday, Nico made some of the characteristic errors under braking for right handers that we became accustomed to last season. Imagine the howls of derision that would have been cast his way had he made his Q2 error at the end of Q3 while at the top of the time sheets. Regardless of intention or deliberation, Rosberg’s role as the Mercedes villain would have been cemented. As it happened, Nico ended up completely outclassed by Lewis during Q3; and then for the entirety of the Grand Prix. The gap relentlessly increased between Lewis & Nico between the first lap and the fateful strategy error from Merc on Lap 65 – a questionable decision considering Mercedes continued insistence on complete symmetry in terms of strategy. As Nico said, he’ll take them any way they come, but there’s no question that he was very much in the shade of Hamilton all weekend.